Crack open a clockwork tale about a teenage steampunk sweetheart and don’t be surprised if she’s shucking her skirts for pants, piloting air-based contraptions or generally giving all proper Victorian societal conventions a kick in the rear. She might allow the corset to stick around, but only for sartorial reasons. While not all steampunk heroines are quite this flagrant about defying standards, they are all armed with something wonderfully refreshing amidst the young adult (or YA) paranormal swamp: Moxie. When they can’t wear pants or take the wheel, expect a smart, sassy verbal assault. 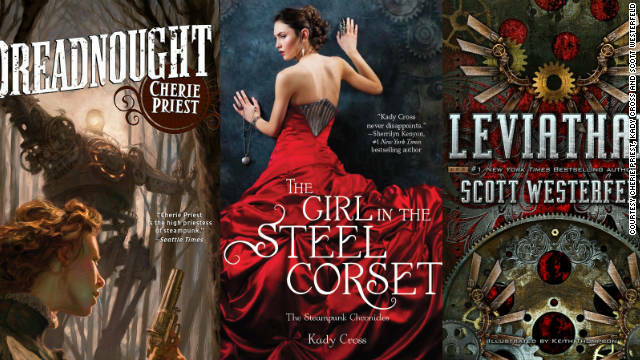 The steampunk subgenre may be just initially capturing the attention of mainstream readers, but it’s one authors like Scott Westerfeld, Cherie Priest, Kathryn Smith and Gail Carriger have embraced and fueled the last few years. For Priest, it all started during her Texas history class in public school. After finishing a novel on the rollicking history of the state, Priest approached her teacher. “How come there weren’t any women in Texas?” she asked. “Oh, there were women in Texas, they just weren’t doing anything very interesting or important,” Priest recalls her teacher saying. This week we asked Daniel Dean, from "Titan Games and Comics" in Smyrna, Georgia, for an outside-the-box recommendation from the new comic books available on stands today. He suggested the first issue of Image’s 'Mud Man,' by Paul Grist. It is an eagerly awaited epic about the second-moistest superhero ever, Dean said. Actually, "Mud Man" is about a boy whose body is slowly turning into mud. The comic is cut from the troubled-young-hero-in-an-extraordinary-situation cloth, Dean said, which shows off Grist's straightforward style. 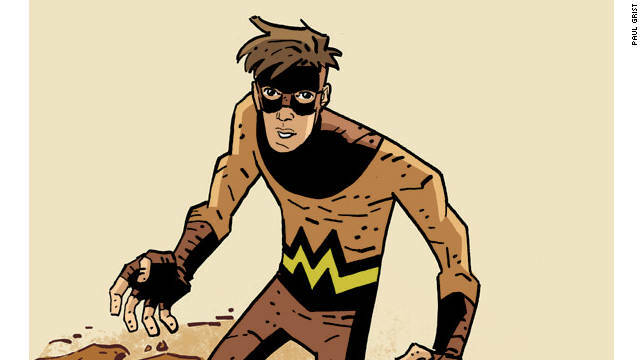 "This is a fresh start for Grist, free from the historical context that frames 'Jack Staff,' he said, explaining that it's an opportunity to get an introduction to Image Comic's superhero line without needing to know fifty years worth of story history. And there's no stunt marketing to avoid with this title, either. Dean cited Grist's comic book "Kane" as one of the best crime comics from the 1990s and said his other comic book, "Jack Staff," is consistently one of the best superhero comic books available in stores - even if it's doesn't sell as well as other superhero titles. But for those who think "Kane" is too esoteric (it's no "Scarface" or "Goodfellas," Dean said) or that "Jack Staff" is confusingly British, "Mud Man" should be far more approachable, Dean said. 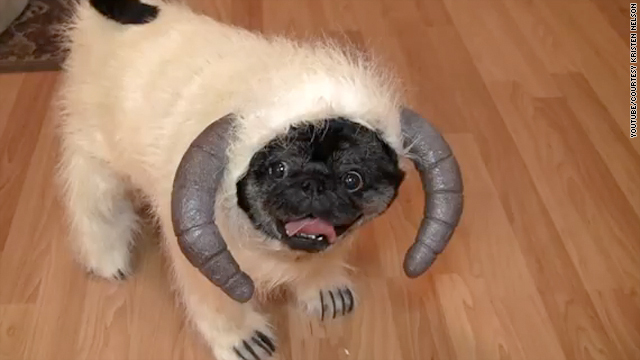 Approachable, but unique. Grist's visual storytelling, "uses negatives, silhouettes, and the white space most artists take for granted as central components in establishing character and advancing plot," Dean said. "His writing tends to be humorous but always comes from a place of character, rather than relying on one-liners and pop culture references," Dean said. It's a creative approach to the comic book medium that doesn't follow the traditional superhero book formula.